Gather the forwards, hookers, backs, officials, and fans! 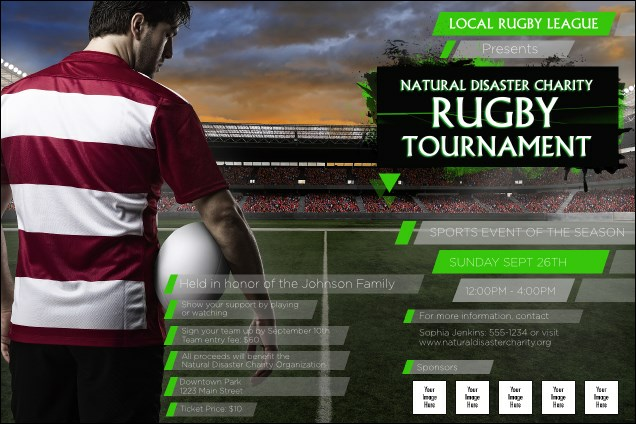 It's time to promote your big tournament with the Rugby Stadium Poster. List all your details in the grey and green boxes that stand out on the dark image of a stadium. Upload five of your own images to the template for athletes, teams, and logos. Celebrate your sport with the right design from TicketRiver.com.au.